The"slinging"means securing a cargo to or removing it from the hoisting accessories of cranes or other hoisting devices with wirerope, chain and/or other sling gear. Enables to do tamakake loads with unlimited tonnage. Textbook：English, Portuguese, Spanish, Chinese,Vietnamese, Chinese and Indonesian. ・Mobile crane or Derrick crane Skill Training Certificate. 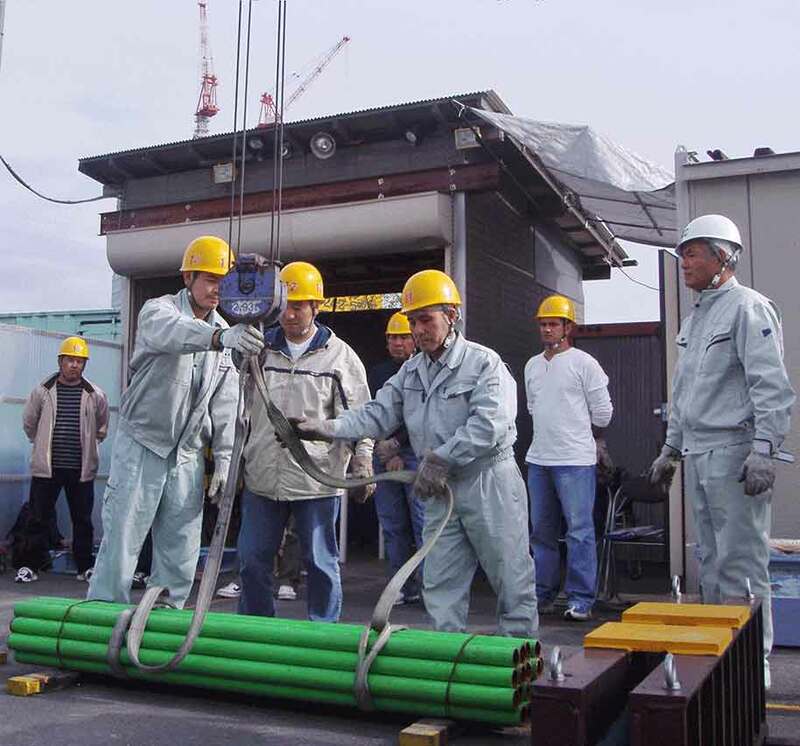 ・Skill training Certificate of floor-operated crane or mobile crane. B ・Evidence of the company that you have more than 6 months of experience working as auxiliary of slinging over than 1 ton capacity.